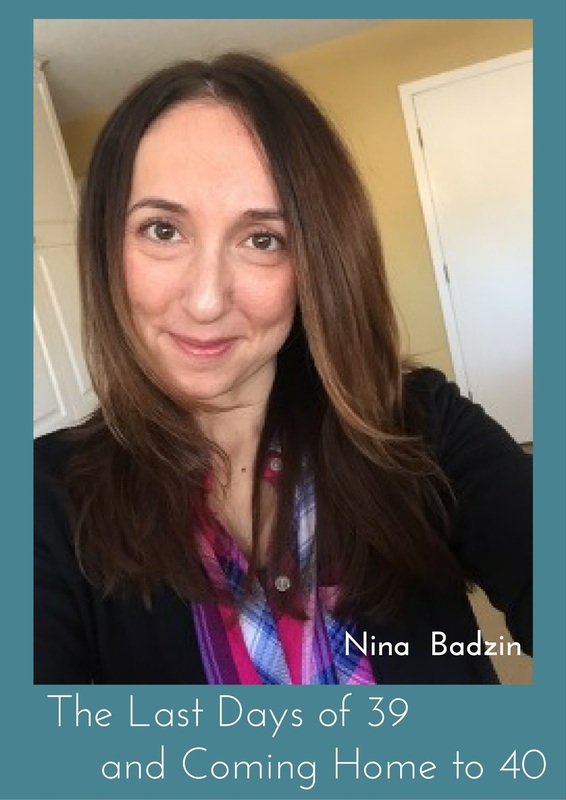 This week on 40 Lunches, Nina Badzin, writer/blogger/mother and 40 Lunches supporter shares her thoughts on turning 40. Her work has been seen on On Being, Motherwell, Today Show Parenting, and the HerStories Project, where she writes about books, friendship, and parenting, among other topics. You can check out her website here. In the best case scenarios, last days are connected with new beginnings full of potential. Again, I’m talking about the predictable, best case scenario changes as I realize not all last days transition into happy times. I’m thinking about how my last day as a student was also my first one as a graduate. My last day as a single woman was also my first day as a married one. The last moment of my pregnancy (the first of four times) was my first moment as somebody’s mother. These are my last days of 39. My birthday is not an end to mourn, but a beginning to celebrate. In fact, it’s different and more special than a typical beginning. Forty, for me, is like coming home. I’ve always considered 40 as the true adult age. Perhaps it’s because my mom was 32 when I was born and my dad was 36. In my concrete memories, the ones I recall from experience rather than photo albums, my parents were in their 40s. They had (and still have) a close-knit group of friends who were like aunts and uncles to me. 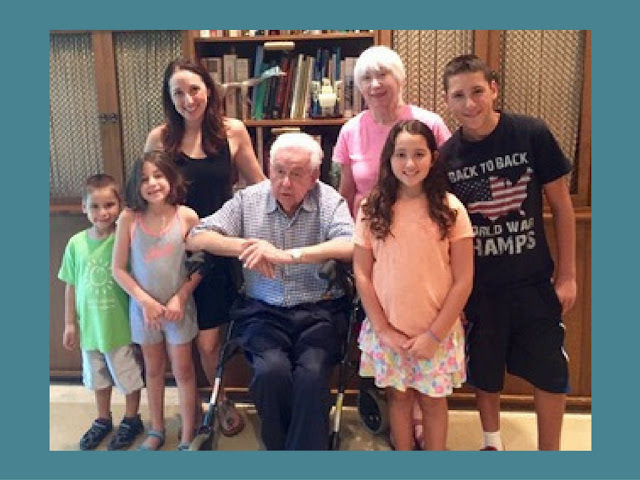 All of them, in my mind, are still in their 40s and driving carpool, sending kids to camp, and planning a bar mitzvah. I know that not everyone falls into their parents’ well-worn paths, but in some significant ways (not all) I have done just that. I’ve always had so much in common with my mom and her friends. I feel like I’m finally one of them, even though they are all in their 70s now. Ladies! Free up a spot in your book club and save me a seat at your next theater outing. I have finally arrived at the proper age to join you. In these last days of 39, I don’t worry that 40 sounds “old.” One of my grandmothers lived to 96. My husband’s grandmothers are in their 90s and still sharp. They would find 40 charmingly young if I asked them, which I would never do because what a privilege it is to be almost 40 and healthy with, God willing, still so much life left to live. Of course I don’t assume I will live to 41 let alone to my mid-70s like my parents’ friends, or 90, or that if I do, I will do so with my faculties in top notch shape. My dad was 58 when he was diagnosed with Parkinson’s in 1998. Do I have 18 years left before the same news catches up with me? Will I get a worse diagnosis sooner than that timeframe? Later? Thoughts like that plague me when I let them, which I try hard not to do. In the last few years my dad told me that he would do anything for one last day to run and play tennis, two of his favorite activities before the Parkinson’s symptoms got bad enough to make standing an impossible task. I’m thinking about his wish more often in these last days of 39. These are healthy, exuberant days I’m enjoying and none of us gets an infinite number of them. Those are the types transitions we cannot anticipate and cannot dwell on too often or we spend more time worrying than living. So I am going to celebrate the heck out of this spectacularly predictable life change. Here’s to 40, the “new” stage I’ve been ready for most of my life. For more about Nina, visit www.ninabadzin.com. Such an elegant and optimistic way to frame this transition to 40, Nina, and nothing short of what I would expect from you. I love this outlook and intend to apply it myself when I turn 43 in a few weeks. But most importantly, HAPPY BIRTHDAY and welcome to the club! Thank you so much for reading, for commenting, and for the good wishes. What a wonderful post, a true expression of joy and appreciation for the everyday miracles of life! Loved the comment about saving you a seat in the book and theater clubs, sharing your dad's yearning for one more physically active day, and I treasure your description of the spectacularly predictable life change. You are a ray of sun in my life! A world of HAPPY on your birthday, wonderful niece of mine! Thank you so much! This comment brought a huge smile to my face. I can see how that will happen and already has in some (not all) ways. Thank you so much! I think now about my parent's close friends and how I'm now the age they were when I met them. Crazy thought! My uncle and my mom's cousin both have Parkinson's. They were diagnosed at the same time(ish). It's manifested differently in both, though. Vastly. Endlessly fascinating and hard. So true. Each person is different though there are some symptoms that are pretty prevalent for many. So hard. Thanks so much for reading AND for sharing the post! So lovely and honest and true; exactly what I've come to count on in pieces written by you. I can say with total confidence that my 40s has been my best decade (and they've all been pretty good for the most part). Welcome to this time in your life. You'll be spectacular. I just know it! Such a positive way to frame 40..."coming home." I feel the same way. Not surprised! We are so alike in any ways. I love your outlook and as always I learn a lot from you. Thank you for sharing your words with us. Thank you so much, Becky. Thinking about you every day. Happy Birthday, Nina! Milestone birthdays are something to celebrate, not lament. Thank you for bringing light and joy to the occasion. 40 was my official adult age, too, and I celebrated like cray-zay. Parties, trips, photo shoots, I felt powerful and at the peak of my womanliness. As I near 50, I'm adding freaky smart to the list, a wisdom that only comes with time. Happy Birthday to you and welcome to 40!!!! What a refreshing way to think about turning 40 and entering this new exciting decade of your life! I am a little more than six months away from my own 40th year and while I am extremely thankful for so much, I have allowed this looming birthday to make me hyper critical of myself and "where I am" (whatever that means). Your post is great encouragement to re-frame this time and focus on all that is wonderful. So thank you -- and Happy 40th Birthday! Makes me happy that this helped! Happy 40th birthday, Nina! I'm turning 40 later this year too. I feel like I've been waiting for it for a very long time. All the best in 2017! Thank you so much, Rudri! I learn so much from you, too. Great essay, Nina! I feel like turning 40 was a new beginning in a way. It's refreshing; not old at all. I think you have the right attitude. And happy belated birthday! How wonderful. Happy birthday, Nina! It's funny, because yet again I'm struck by how alike we are, even though my "coming home" is a decade away. But I've always been one of those people who's older than my age, so every birthday feels like one step closer to being treated how I actually feel. I love your perspective here. I wish everyone could look at it so positively. I'm not surprised we share that thought process!